The fact that I’m a proud nerd has been well established. Further proof: I saw Howards End the FIRST week it was in the movie theatre and for my high school graduation trip I convinced my English teacher to take me and a dozen other graduating seniors on a “Literary Tour of England”. 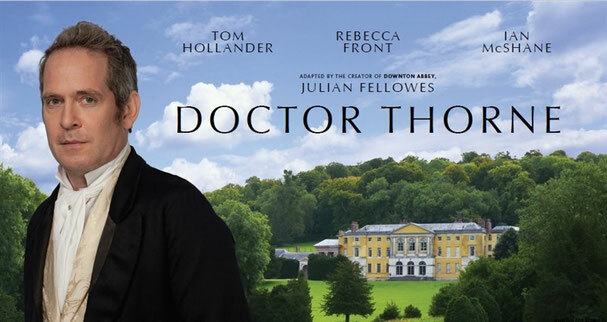 It is no wonder then that I have been drawn to Doctor Thorne on Amazon. And as expected the eponymous doctor (Tom Hollander) makes the rounds to see his patients. During episode one Dr. Thorne often tells his friend Sir Roger (Ian McShane) that he will die if he continues to drink. But just how do you die from alcohol? It all depends on how you take your drink. There are quick ways of dying from alcohol via binge drinking: alcohol poisoning, drunk driving, and/or violence. Sir Roger doesn't suffer these fates. And if all that wasn’t bad enough you can also die if you stop drinking abruptly and go through alcohol withdrawal. So skip the next round and go on your own "literary tour of England".